Ana from Giving Birth tells us her experience as a doula. 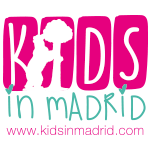 Having a baby in Madrid can be a daunting procedure if you don’t speak Spanish or aren’t sure what appointments happen when, or what to expect before and after the baby arrives. If you’re looking for a little assistance before, during and after birth, you might benefit from a doula! We spoke to Ana from Giving Birth who offers support to expecting parents in English, French and Spanish to see what services she offers and how expecting expats could benefit from her help. The definition of a doula is a woman who gives physical, emotional and informational support to another woman before, during and after childbirth so that she gets the birthing experience she envisions. To me, a doula is a calm, kind, powerful, loving presence during the whole process of the pregnancy, birth and post-birth; someone who protects the intimacy and the wishes of the mother-to-be; someone who is there to provide a warm hug whenever one is needed. How long have you worked as a doula? Why did you decide to become one? I have been working as a doula for 6 years. I decided to become one after the birth of my first child, which is when I realised how important it was to be well informed, supported and encouraged by someone who is non-judgemental and who empathises with what a new mother is going through. Do doulas undergo any kind of training? Yes we do. Unfortunately, there is still no official training in Spain, however, we all have to do a training course and supplement it with other courses in addition to keeping ourselves up-to-date with the latest research and medical studies. What is a doula’s role during pregnancy, in labour, after birth? 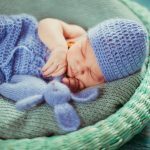 During pregnancy I offer several sessions where we talk about the birth plan, what it is and how to formulate one that meets the needs of both the mum as well as the couple as a unit. It addresses the mum’s expectations about the birth, her fears and concerns, the role of the partner during labour and after childbirth, what happens after the birth, and anything that the mum and her partner might want to know or talk about. During labour I try to help with pain-relief techniques including breathing techniques, massage, and birthing positions. After the birth, the mum and her partner can share any concerns, doubts or fears that they may have with me, and tell me how they feel about both the birth and being new parents. I can also support them with feeding (breastfeeding if that is her choice, or otherwise bottlefeeding), bathing, dressing etc. Have you had any experiences that have been really memorable for you? Yes, I have. Every experience is different and very special, and it is always a privilege and a great honour to be invited to be present at such an intimate and precious moment of a couple’s life. How could an expat mum benefit from a doula’s help? My aim as a doula is to ensure that the new mother feels safe, understood and taken care of while going through the experience of becoming a mum in a foreign country, with a foreign language and away from her family. As I speak fluent English and French, I can act as a translator and cultural mediator to ensure the best possible communication with the medical staff. What should expecting parents ask when they’re looking for a doula? 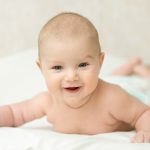 Apart from asking about the typical training, experience, type of services and availability questions, choosing a doula comes down to a matter of feeling as they are inviting somebody that they do not know to be present at one of the most important and intimate moment of their lives. Does the role of a doula replace the dad or birthing partner? No, never. As I am there to support the woman giving birth and her partner as a family, he/she should not be concerned about me taking his/her place or making his/her role redundant. What kind of births can a doula attend (home/ hospital/ natural/ C-section)? A doula provides support to the mother, no matter how she gives birth. For how long after the baby is born do you continue to work with the family? I pay two follow-up postpartum visits during the first week after the baby has been born and I keep in touch with the family for over a month as a minimum. What’s the best part of being a doula? Being invited to be present at such an intimate, unique and special moment. If you’d like to speak to Ana about how she could assist you during your pregnancy or birth in Madrid, you can contact her via her website, Facebook page, email or phone +34 669 510 069. What is it like to be a new dad in Madrid?